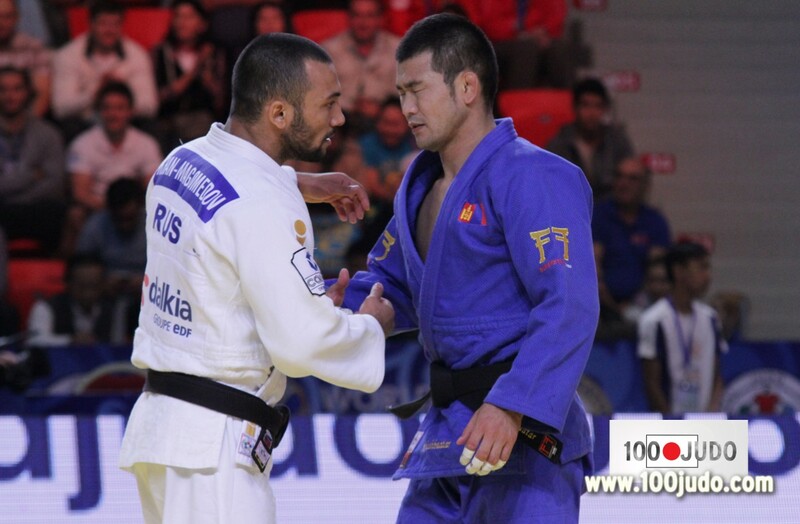 Olympic bronze medalist and former World champion Khashbaatar Tsagaanbaatar announced his retirement last week. His last-ever tournament competing as a judoka was the recently held 2015 World Judo Championships, which took place in Astana, from August 24 to 30. Kh.Tsagaanbaatar has started co-training Mongolia’s judo national team after his retirement. “I notified our seniors about my retirement shortly after the World Championships wrapped up. Although my judo career is coming to its end, I will try my best to effectively work with my team of coaches and train Mongolia’s future Olympic champions,” said Kh.Tsagaanbaatar. 31-year-old Mongolian dropped weight before the 2015 World Championships and competed in the 66 kg division again. In 2009 he became World Champion U66kg. Kh.Tsagaanbaatar’s career as judoka lasted 20 years, and local media outlets and the public are wishing him even bigger success in his coaching career.